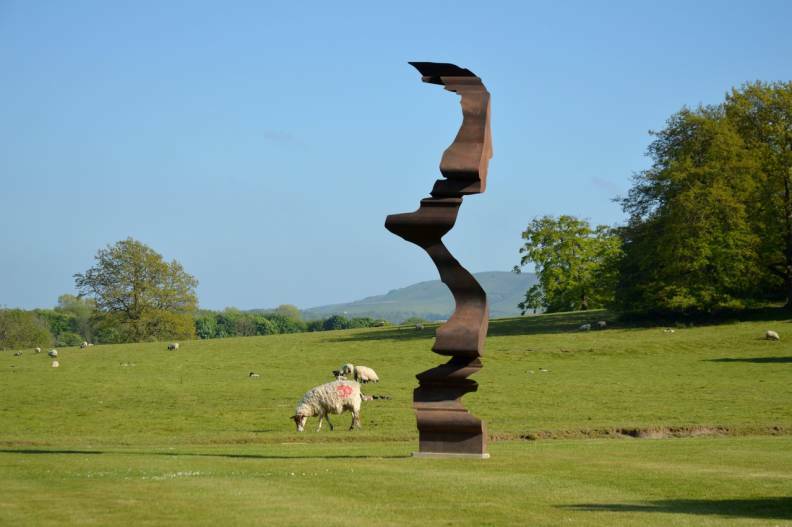 In 2017 Glyndebourne hosted Sculpture (1504-2017), an exhibition of new work by British artist Nick Hornby. In each piece Hornby hybridised key historic artworks: visitors may recognise fragments of Michelangelo, Rodin, Brancusi and Matisse in his work. Hornby’s works are created through complex processes involving both high-tech production methods and traditional handcrafted techniques. Both the computer and hand are put to use to create large-scale silhouettes and forms in bronze, marble or resin. These art works provide shifting perspectives and viewpoints (both physical and metaphorical) of the art object, and the histories it is tied to. Nick Hornby is a British artist living and working in London. He has exhibited in the UK, the US, Switzerland, Greece, and India, including Tate Britain, The Southbank Centre and The Museum of Arts and Design in New York. He has been awarded several Prizes including the Clifford Chance Sculpture Prize, RBKC Artists’ Professional Development Bursary, the Deidre Hubbard Sculpture Award, and the BlindArt Prize. He was also shortlisted for the inaugural Spitalfields Sculpture Prize and the Mark Tanner Sculpture Prize. For more information see here.